Adopted nephew of Maeda Toshiie and Matsu. Keiji is what people call a happy-go-lucky man. 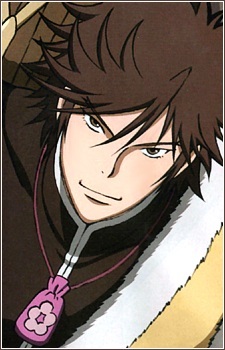 He enjoys festivals, as well as pulling pranks on Toshiie. Despite his demeanor towards his step-family, he loves them though shows resentment at them due to their objection to his lifestyle. Accompanying him is a small monkey named Yumekichi. His weapon is a ludicrously over-sized nodachi. Despite its length, he can use it one-handed. He also uses its sheath, but rather than carry it around he throws it in to the sky, having it come down just when he needs to use it.